Block access to backup and source files. The below script in .htaccess tells the server to look for files with any of this extensions: [filename].config, [filename].sql, [filename].bak and so on, and if so, deny processing requests for such files.It will return a 403 Forbidden error instead. For extra security we should block access to the WordPress readme.html file and other default WordPress files which publicly display your current WordPress version number. Rather than deleting these files, it’s better to add the following directive to our .htaccess file to block public access to these files. Updating themes, plugins and WordPress itself via the network admin screens is straightforward: you’ll see a notification if any of your code needs updating and you simply update it in the same way as you would for a normal site. 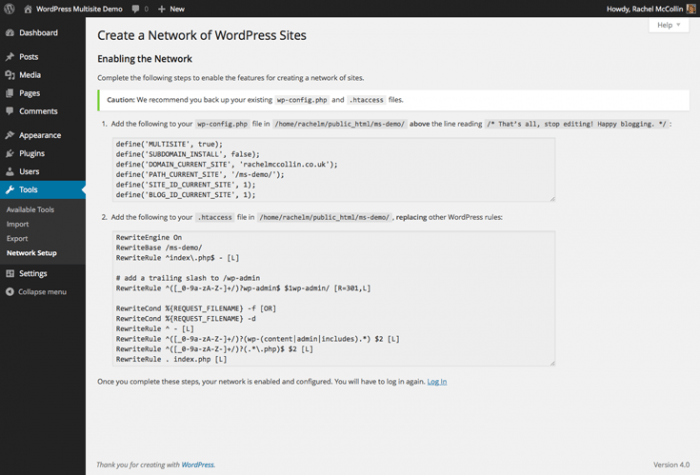 Updating WordPress is a two step process: you need to install the update and then update the network of sites. This is just a case of clicking a couple of extra links which WordPress will guide you through. 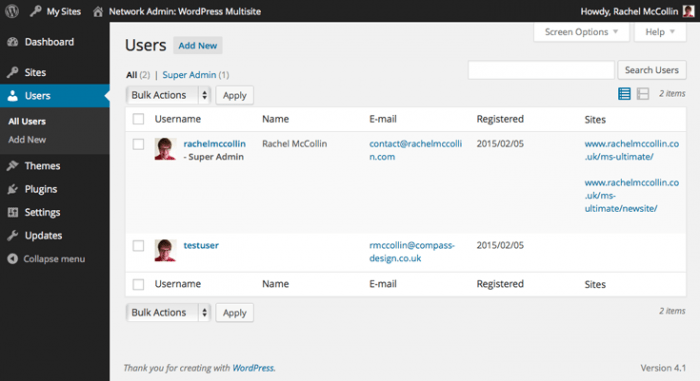 The Users screen works in the same way as for a standard WordPress site: it will list all of the users on your network and let you edit and delete them. This will include users that site admins have added to your site as well as users who’ve signed up for a site. The one main difference is that the Users screen tells you which sites a user has access to. If you want to add a user to a site, you do so via the Users tab in the site settings. Only the super administrator of a network can install themes and make them available for sites to use. You can do this in one of two ways: you can allow them for individual sites or you can network activate them. 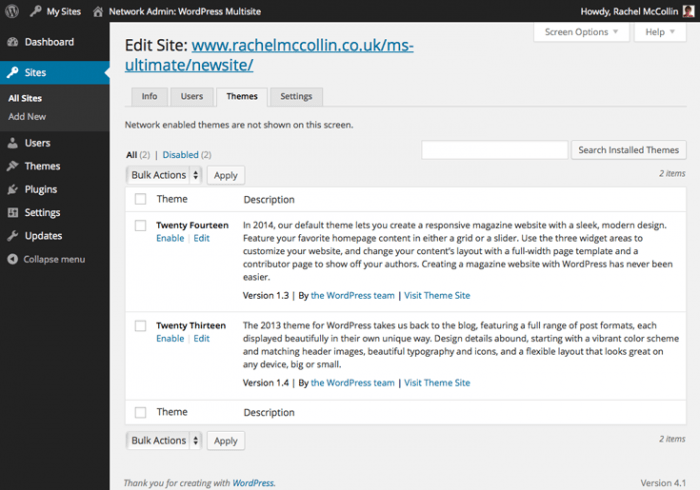 A theme can only be activated on a site if it’s been network enabled or enabled for that site. 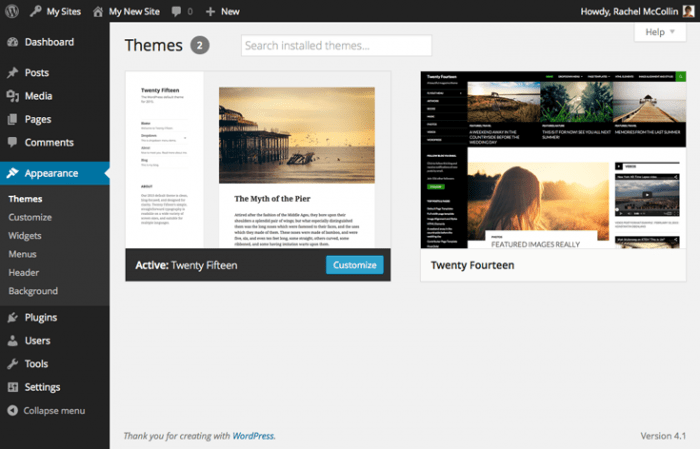 You can also enable a theme just for one site. This can be useful if your network runs lots of sites each of which will need a different theme, for example if you’re hosting client sites. Enabling themes by site means that other themes won’t be available to sites which don’t have them enabled, so there’s no risk of site admins accidentally activating the wrong theme. Plugins also have to be installed by the network administrator, but they work slightly differently with regard to the sites on the network. You can’t enable a plugin for an individual site: instead you can network activate it, so it runs on every site on the network, or you can just install it, so that individual sites can choose to activate it. In the Installing Plugin screen, click the Network Activate link. That’s it! 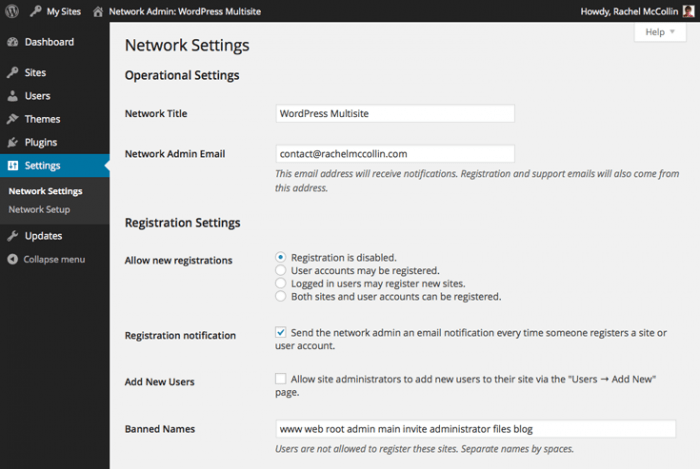 The plugin will now run on all the sites in your network and site admins won’t be able to disable it. But what if you want to just activate the plugin on one site? That’s done by installing the plugin as a network admin and then activating the plugin if you have site admin privileges for the site. In the Installing Plugin screen, click the Return to Plugin Installer link. Under the plugin you want to activate, click the Activate link as you would in a normal WordPress site. Now a days the use of wordpress content management system is not limited to a blog or a portfolio website, it is also used as a eCommerce website platform. No matter how we use it, we often need the highest post submitted author list. Using below script you can get the list of authors who submitted highest number of posts in WordPress.